A local attraction - Iglesia de Nuestra Senora del Carmen y San Luis, which is situated beside this restaurant, is a part of the original culture of the city. 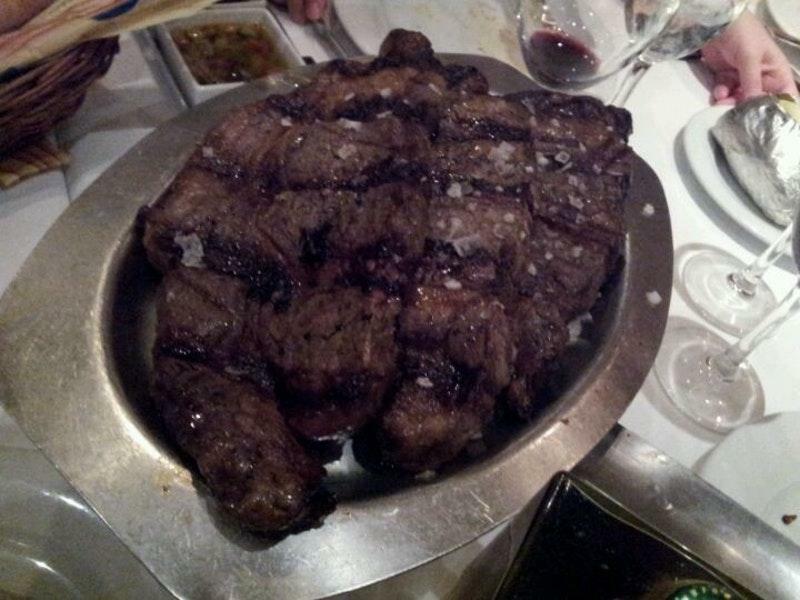 The varied menu based on Argentine cuisine is what you are offered at El Gaucho. Don't forget to eat mouthwatering ribeye, ribs and steak salads at this place. Nothing can be better than trying perfectly cooked gelato, chocolate mousse and lemon sorbet. Get your meal started with delicious cordial, champagne or cava rosado. Great cortado, lemonade or smoothies are among the tastiest drinks to degust. The convenient location of this spot makes it easy to reach even in rush hours. The nice staff at this restaurant can demonstrate how much they appreciate their clients. The fabulous service is something these restaurateurs care about. In accordance with the guests' opinions, prices are average. You will certainly like the pleasant ambiance and homey decor. 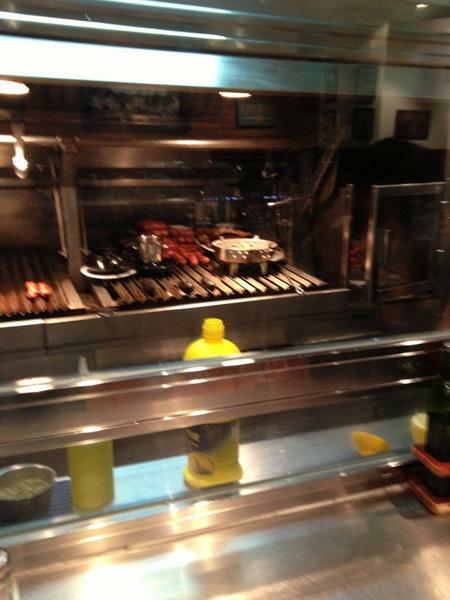 El Gaucho was rated on TripAdvisor, it got 4. Great food!A delicious lunch! 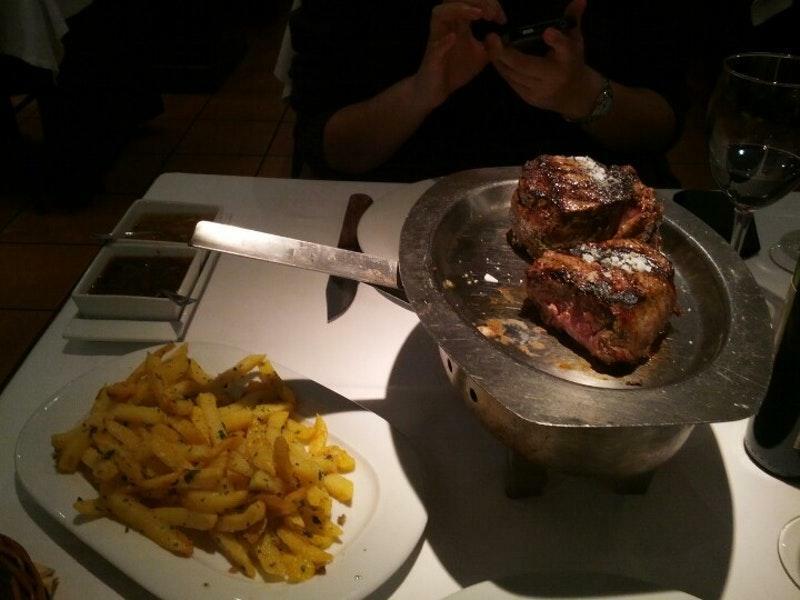 since the great starters they surprise you till a delicious and well made steak. For dessert a delicious "mil hojas". a great place to eat in Madrid. Will return!! Great food. Great staff. Generous with pre and post-prandial drinks.